The musicians of "Forkolor" are not only excellent saxophonists and ensemble players, but also interesting composers, virtuoso soloists and creative improvisers with a very unique musical character. They have composed an exciting and energetic music program with elements of modern Jazz, Eastern European folk music, pop and classical. The saxophone quartet Forkolor has been awarded with the "Studioprojekt Jazz Preis" of the "Berliner Kultursenat". 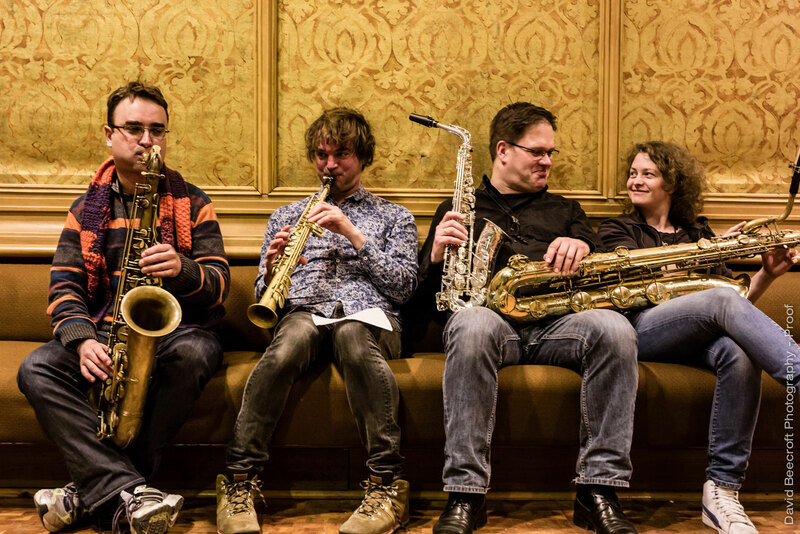 The four saxophonists recorded their first album in Berlin, featuring the Bulgarian guest musicians Nedyalko Nedyalkov (kaval) and Stotyan Yankoulov (tupan). The CD "FORKOLOR" was released in October 2014 on the Swiss record label Unit Records.